God’s Will: Can It be Found and Followed? What if knowing God’s will for your life was not as complicated as it seems? I have a friend who has struggled for a very long time to understand what God’s plan is for him. Like all of us, he longs to know that he’s in “the center of God’s will.” He’s wants to find that sweet spot where his work, relationships, family, and church jive perfectly and if feels like he’s enjoying God’s very best. Some of you know what that feels like. Some of you – like my friend – have no clue what that is like, but you wish (and pray) that you did! Wolterstorff, St. Paul, and all of us who have lost a loved one who is a follower of Christ wrestle with the same dichotomy. For the living, the death of a loved one is a tragic and painful loss. The pain is acute and lasting, and the reality that death is not how life should end comes into sharp focus. We mourn, we cry, we live in sorrow. For the deceased in Christ, death is a release, a passage, an opening. The joy is acute and lasting, and the reality that life with God the Father, Son, and Holy Spirit is life in its most grand fulfillment is brought into sharp focus. They worship, they rest, they live in peace and wonder. It’s sometimes difficult to remember that one does not rid our lives of the other. I watched my grandfather live out this truth in beautiful ways. He lost his precious bride, Everma Jo Girard, when she passed away on October 15th, 2002 after 58 years of marriage. My grandfather grieved deeply. He experienced a sadness and loss I cannot even hope to understand as a husband of only three months. My grandmother Jo was his best friend, his faithful wife, and the love of his life. And as much as his last 10 years have been marked with grief, they have been equally marked with hope. My Grandfather knew Jesus and faithfully rested in the hope that he too, one day, would go home. On that day he would meet his Savior and would experience him just as his wife was. This truth filled him with hope. Grief and hope. Hope and grief. 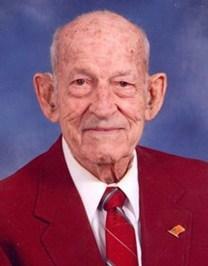 This Saturday my family will bury my grandfather, Cecil Meshew Girard. “Granddad.” A faithful, quiet, loving, strong, hopeful, convicted, loyal, husband, father, grandfather, great-grandfather, and follower of Christ. And because we love him dearly – we grieve. Deeply. Today we miss him and want him back. And because we trust Christ – we hope. Deeply. One day we will join him and won’t ever look back. Our hope will not be overwhelmed by our grief, and neither will our grief be overwhelmed by our hope. I thank God for Granddad. He followed God. He pursued what was right. He respected all people. He loved deeply. He lived well. Today he is Home – and in my grief I celebrate for him.